But really, is it really necessary for airport security to put their sticker AROUND my luggage handle. Not only is it incredibly hard to get off the material on the handle (especially since it doesn’t peel off in one piece, rather into the 30+ puzzle pieces stamped into it) but it is likely to leave a sticky mess behind so every time I grab the handle I will be annoyed all over again. 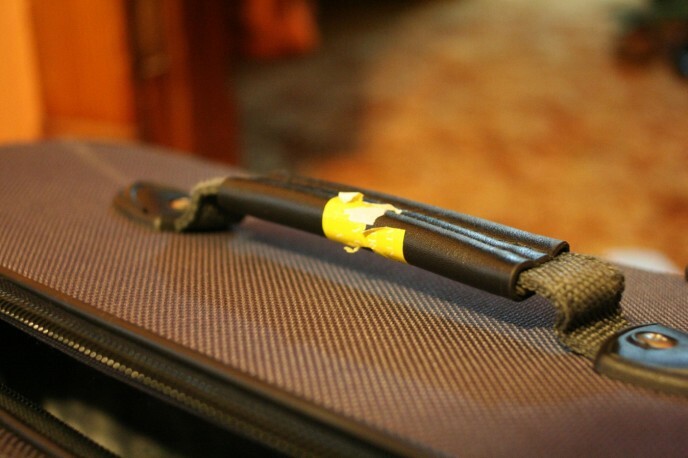 C’mon guys just put it in body of my luggage, it is sooooo much easier to get your tricky stickers off of that material. Don’t worry, I’ve just called a wambulance to come pick you up.